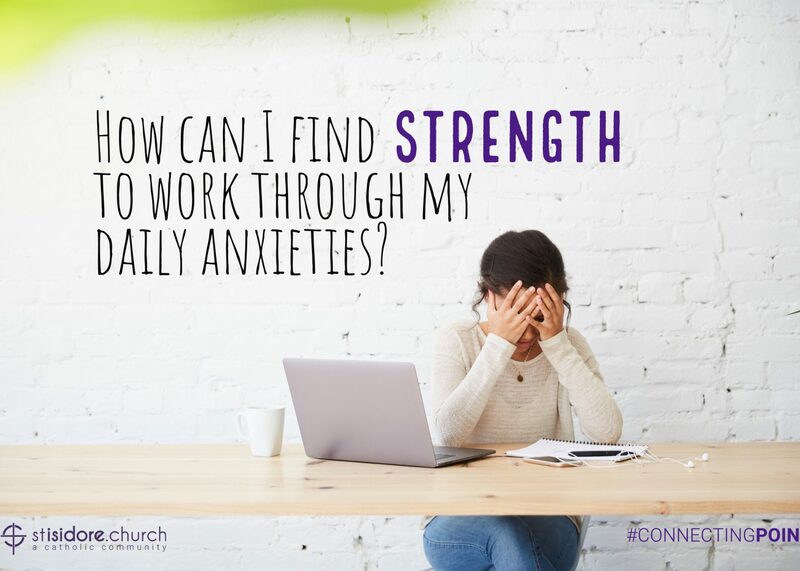 How can I find strength to work through my daily anxieties? When I look back over the high & lows of my life, I sometimes wondered why God kept the darkness. When the pressure of everyday life leads to sleepless nights and the darkening of the soul, the darkness doesn’t help. Sometimes we get so caught up in the anxiety of the day that we feel there is no light for us. Then I reflect on the trials and tribulations that Jesus warns us about in today’s gospel. He calls us to be ready and prepare for our redemption through the Light of Christ. I worry and struggle many times to find ways “to be prepared.” However, when you read carefully this gospel shows us how to be vigilant. It reminds us that God has given us Christ’s light even in the darkness. When we find ourselves in the darkness the light can come to us from the love of family and friends who want to help. We can feel light and love at prayerful times with the Lord privately or at church with the faith community. We need to choose to make room for God and others to enter our life and give us strength. Being Christ’s light for others can help us be prepared too. Especially during this Advent season as we welcome those who aren’t at church regularly. We can share Christ’s light and compassion by greeting new faces and smiling at stressed families with young children. Sometimes the view can be better in the middle of the seat row instead of the end and it just takes a moment to leave parking spaces close to the church to welcome others. It surprising how Christ’s light and compassion can fill you when you reach out and help others.